If your business handles large amounts of cash, you need to think about how it would be affected if that money was lost or stolen. 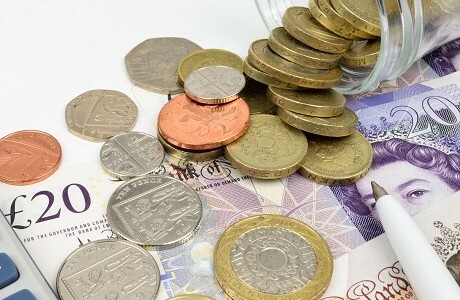 Combined policies usually provide cover for defined amounts, but cover for larger sums of money is a specialist field, especially if that cash is regularly taken off your premises, such as to and from the bank or your home. One of our personal account managers will quickly assess what you need and can arrange Money insurance from a wide range of niche and major market insurers to protect the loss of business money during and out of working hours. Along with money held on your premises, it can include cash at home or on contract sites as well as cash in transit in vehicles or carried in person. It can also cover the loss of crossed cheques, credit company sales vouchers and other non-negotiable forms of payment. We can also arrange Fidelity Guarantee insurance that protects your organisation from loss of money or goods resulting from workplace crime. This is specialist cover that needs a thorough understanding of your business or organisation to make sure you are adequately covered. Fraud is on the increase and in 2012 the National Fraud Association estimated that fraud and embezzlement in the workplace costs UK businesses annually around £70bn. Everyone is at risk of becoming a victim – from large businesses to high street shops and also in our own homes. Common claims are employee dishonesty, embezzlement and computer fraud, among other criminal acts. If you need to make a claim our in-house team will act speedily and efficiently to make sure that the effect on your business is minimised. There is no need to choose between experience and personal service. With Kerry London you have both. Contact us for expert, personal advice on your Money insurance needs.